Public and technical education is also a priority. 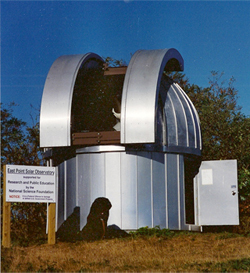 We built the East Point Solar Observatory (EPSO) in Nahant in 1995 with funding from the National Science Foundation, and operated it for research and public education purposes for 23 years. EPSO has been the focus of a NASA – sponsored astronomy summer school for youngsters aged 9-14. Instruction was provided by science teachers from nearby Swampscott Middle and High Schools. We have also established an annual award for the two undergraduates achieving highest grades in science and in mathematics at Wheelock College, Boston. Wheelock has recently been joined to Boston University, where the awards will be continued. These achievement prizes have been awarded since the mid- 1990’s. 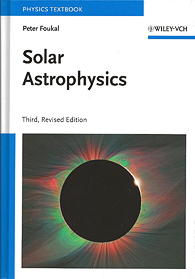 Our undergraduate textbook “Solar Astrophysics” first published by Wiley- Interscience in 1990, appeared in a 3rd edition in 2013 (Wiley-VCH). This text is used worldwide as the most balanced, quantitative account of solar physics for readers with some technical background.